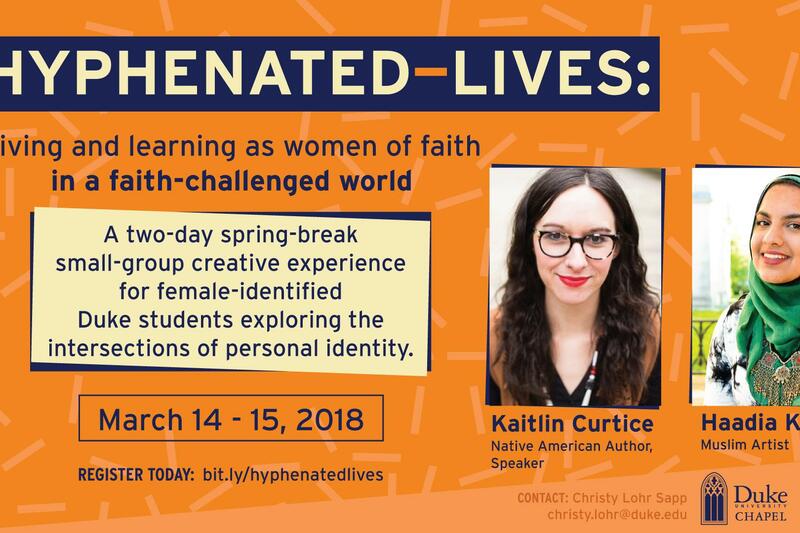 Duke Chapel and the Penny Pilgram George Leadership Initiative for Woman invite female-identified students into a spring-break mini-retreat that explores the intersections of personal identity and artistic expression. The retreat will involve small-group exercises and workshops with literary and visual artists. It will be held off campus all day on March 14 & 15. Contact Christy Lohr Sapp at christy.lohr@duke.edu for more information.